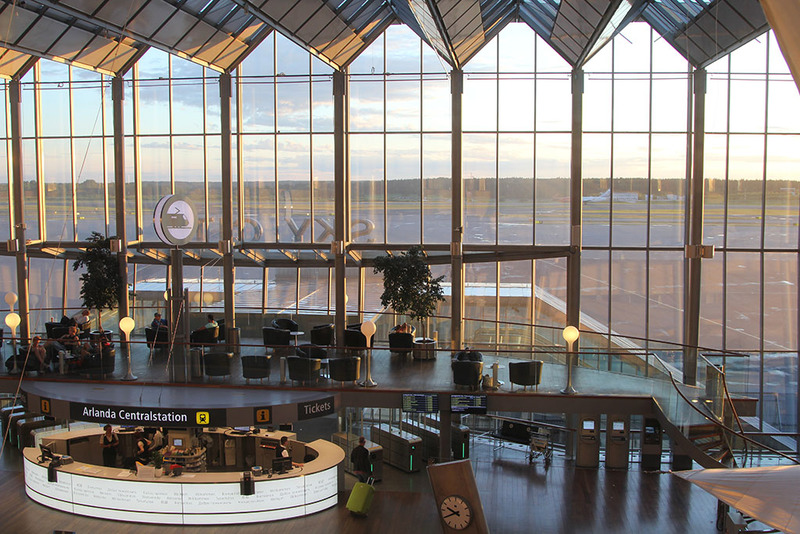 It was a beautiful afternoon for flying into Sweden, and I arrived at Arlanda airport in Stockholm just about the time I was getting hungry for dinner. Perfect! I was feeling pretty relaxed and stress-free knowing that I wouldn’t have to leave the airport for the evening (thanks to having reserved a room at the RadissonBlu SkyCity hotel located right in the terminal), so I took my time to check into my room before heading back out into the main terminal in search of food. Unfortunately, I had to make my selection fast since it was getting late and all of the little cafes and shops were closing down for the evening. 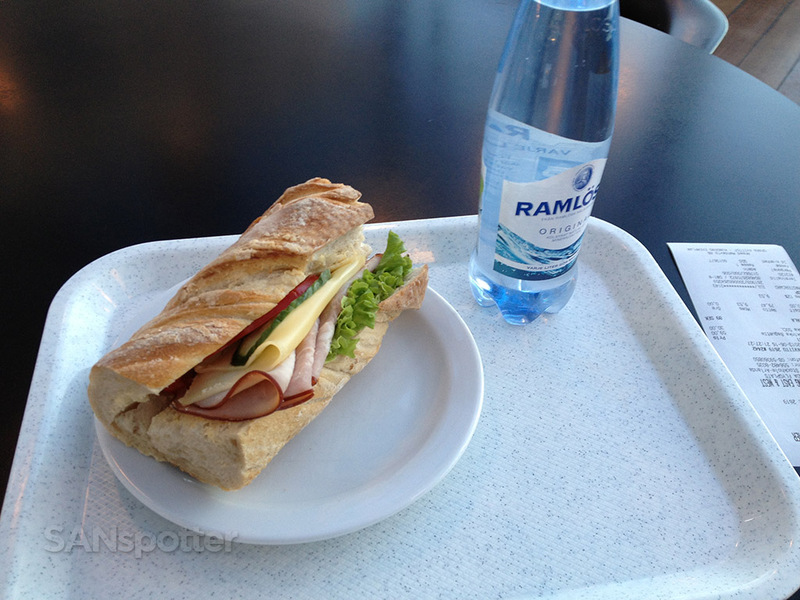 I ended up settling on a ham and cheese baguette with a side of sparkling water – a very european choice for my first night in Sweden. Much to my surprise, I was able to fall asleep by 10:30pm without any issues despite the fact that it was still very bright outside. I knew that Stockholm is a very northern city, but I didn’t expect it to be light outside nearly 24 hours a day in the summer time. View from my hotel room at 11pm. It stays light out very late in the summer time! Day 2: Heading off to explore Stockholm! I was up by 4am, however I did stay in bed until 7. I’m certain that the bright mid-day sun at that early hour had a lot to do with it, and the jet lag I was feeling certainly didn’t help. A weird sensation for sure. It was 54 degrees that morning, with a forecast high of 70 and no chance of rain. Perfect. 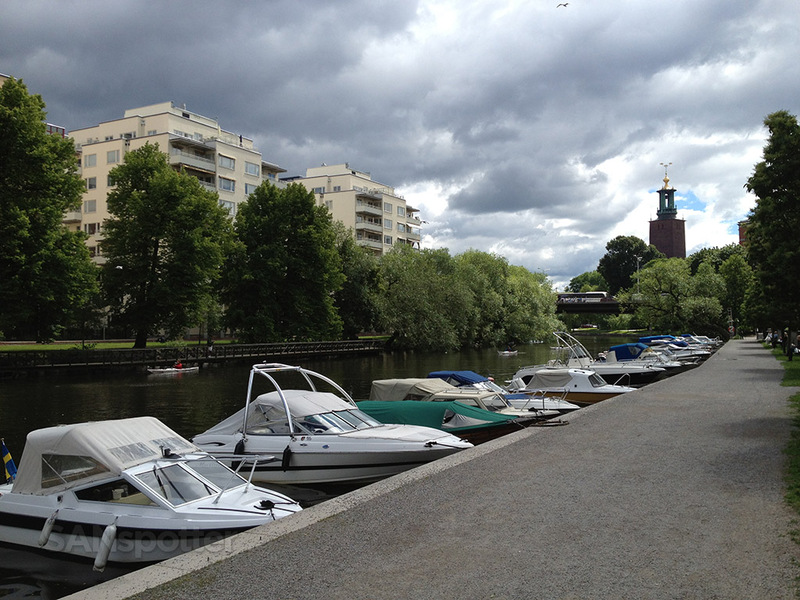 My planned adventure to Stockholm city this day was just that – an adventure. 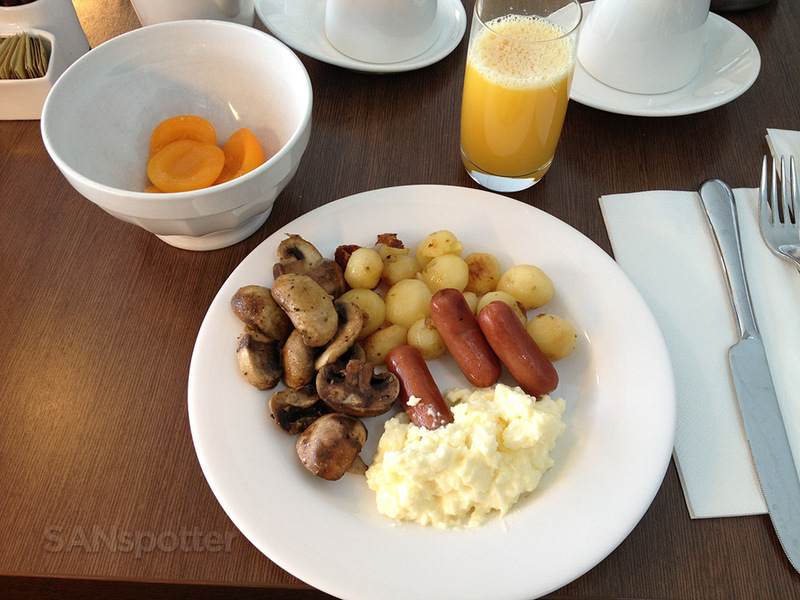 After grabbing breakfast in the hotel restaurant, I knew that I wanted to take the Arlanda Express train to the central station. 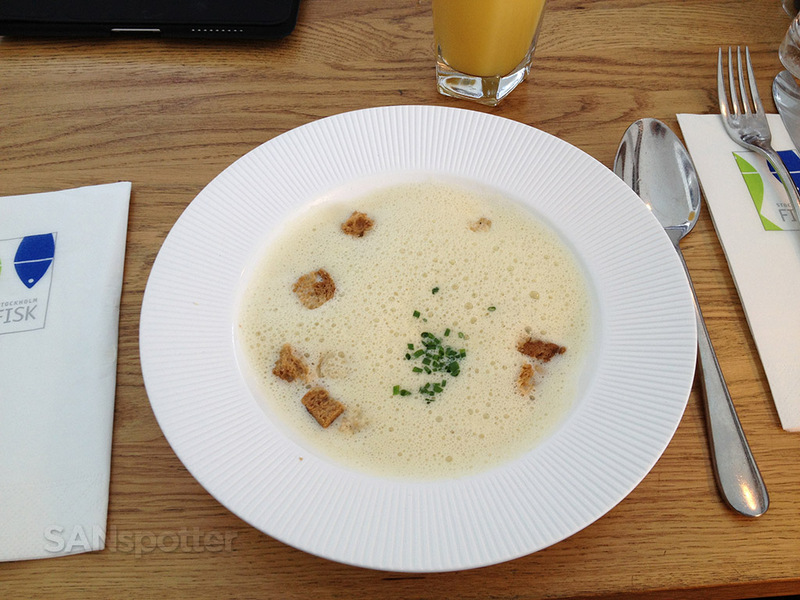 Breakfast at the hotel restaurant – I wanted to make sure it was a big one to last me most of the day! However, the kiosks only accepted credit cards with chips/pins – not cash. None of my credit cards had an EMV chip, and I didn’t have any cash on me, so the only option left was to buy a ticket from the main ticket counter at Arlanda/Sky City with a regular credit card. I purchased a ticket to Stockholm, but there was a slight language barrier between myself and the man at the counter and I what I ended up with was a ticket for the commuter train – not the Express. Long story short, it took a while before I realized the mistake and decided to take a very expensive taxi instead to make up some time. I was a little bit frustrated with myself to say the least, and made a mental note to prepare better before my next big adventure. 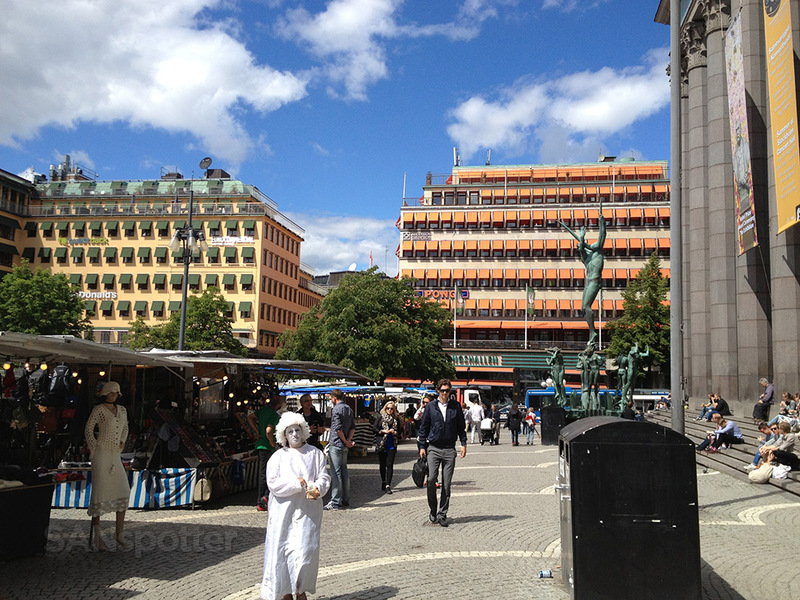 My mood changed nicely once I arrived in Stockholm, and I just walked around for a while checking out the sights. 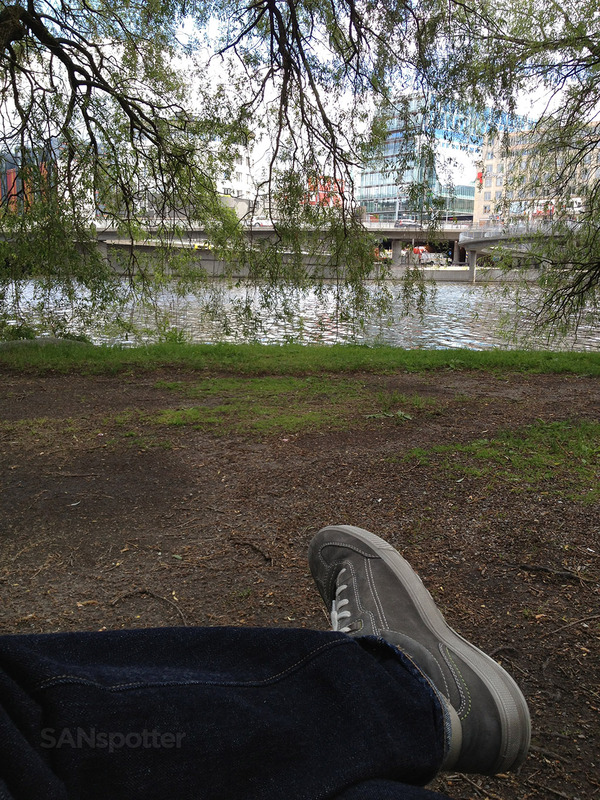 It was a fairly nice day, and I even found a nice shady spot by the river to sit and relax for an hour. I was surprised at the number of boats along the river, but they didn’t seem very active. 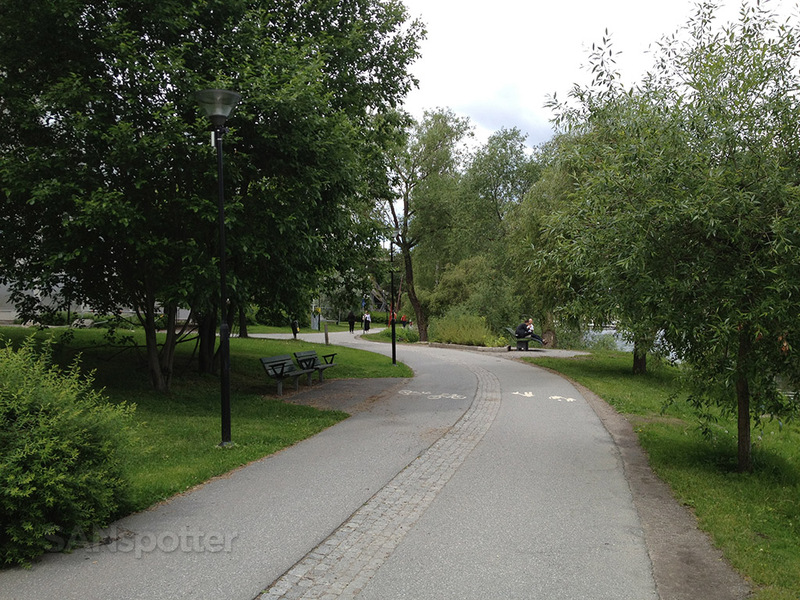 I ended up finding a nice walking path the followed the river, and it was pretty busy around lunchtime with office workers getting some exercise during their break. 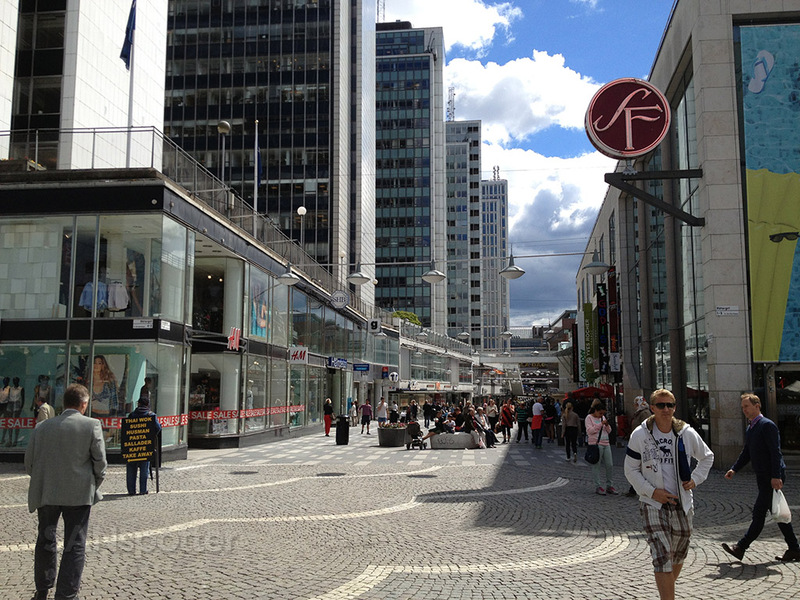 To be honest, I didn’t expect Stockholm to be such a modern city. I guess I didn’t really know what to expect, but I liked the energy of the city. I didn’t think anything out of the ordinary when I took this photo, but upon later review, I determined it to be one of the creepiest travel pics I’ve ever taken! The feeling of having to use the bathroom was growing strong after few hours of exploration, so that led me back to central station looking for a toilet. The bad news was they cost money to use (I didn’t have any cash/coins on me), so I just decided to go back to my hotel and call it a day. 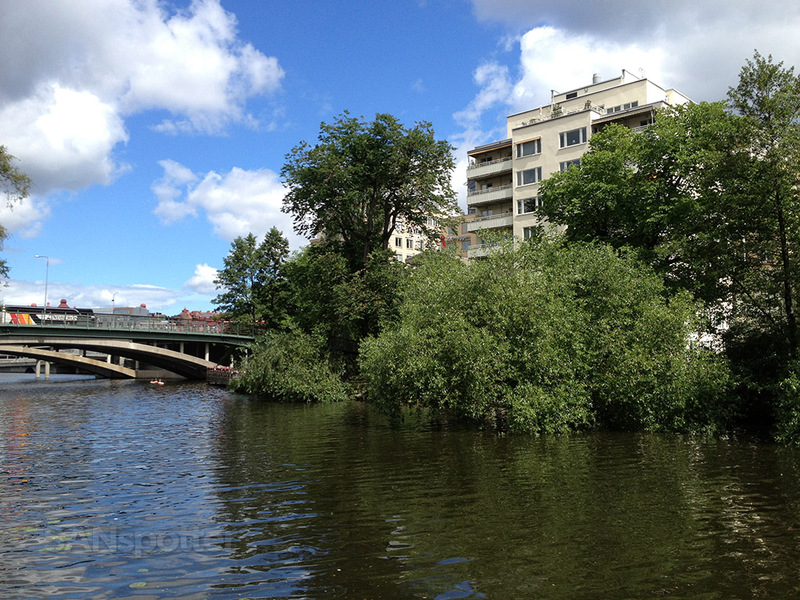 I was satisfied with my visit to into central Stockholm – I wasn’t planning on staying long anyway, as there really wasn’t anything in particular I wanted to see. I saw enough to get a vibe for the city, and I liked it enough to know that I’d like to come back and explore it in great detail some other time. The good news was that I found the Arlanda Express and a manned ticket office on my way out, so it was super easy to buy a ticket this time around. Once on board, I realized that tickets are available for purchase on board so I kicked myself for not doing it in the morning. Oh well. Back at the hotel, I read some Seat2A trip reports, then took a nice and relaxing nap for an hour. Some may think of that as wasted time when traveling abroad, but for me, I’ve never been a fan of running around like crazy and trying to cram everything humanly possible into a trip. I’m perfectly happy just to be somewhere new, blending in, and not doing much of anything. And hey – naps are something that I never have time for while at home, so this was truly a luxury for me! Dinner was at the hotel restaurant, and it was obscenely overpriced and not very tasty. 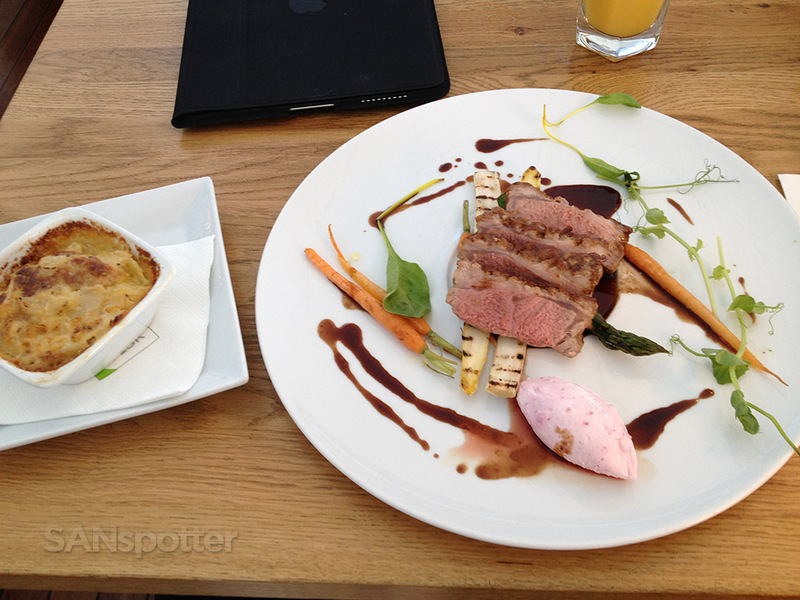 The equivalent of 70 US dollars for a small bowl of soup, piece of lamb, and some vegetables. Major mistake on my part. And another lesson learned. It was a relaxing evening in my hotel room that night, fresh from a shave and a shower, watching Swedish TV and BBC World News while packing for the long journey home tomorrow. I had no regrets about making this trip so short – I saw a lot of new things and learned a lot about myself in the process (I need to prepare better). What could be wrong with that?